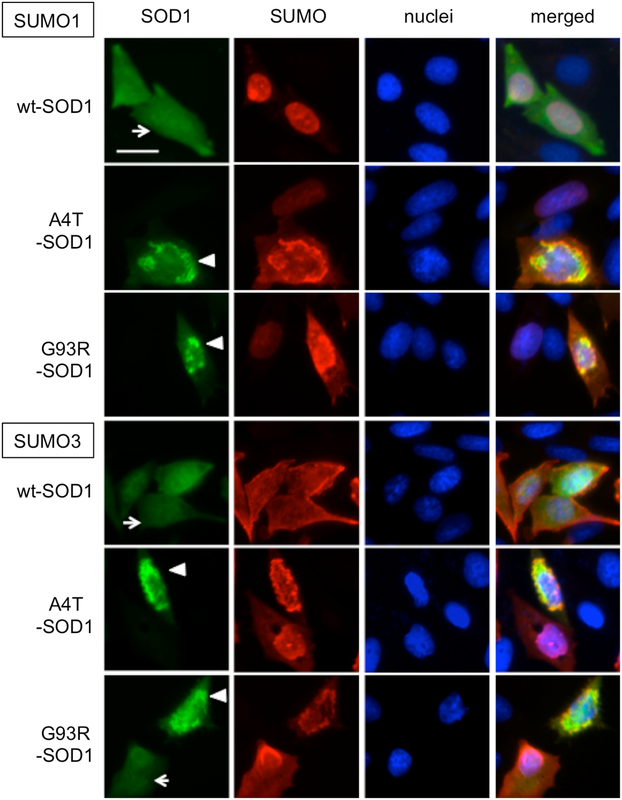 ALS-associated mutations in SOD1 and TDP-43 yield mutant proteins that bind mitochondria and impair their function (see Dec 2010 news, July 2016 news). A new study reveals that C9ORF72 does this too. According to a paper in the October 16 Neuron, dipeptide repeat (DPR) proteins translated from ALS- and FTD-linked C9ORF72 RNA repeat expansions interfere with mitochondrial function. Motor neurons (MNs) derived from C9ORF72 ALS patients iPSCs exhibited increased DNA damage and oxidative stress, an effect that was also caused by overexpression of poly-glycine-arginine (GR) DPR proteins in control iPSC-derived neurons. Analysis of the binding partners of poly-GR proteins revealed interactions with mitochondrial ribosomal proteins that interfere with mitochondrial function, leading to oxidative stress and increased DNA damage. Lopez-Gonzalez R, Lu Y, Gendron TF, Karydas A, Tran H, Yang D, Petrucelli L, Miller BL, Almeida S, Gao FB. Poly(GR) in C9ORF72-Related ALS/FTD Compromises Mitochondrial Function and Increases Oxidative Stress and DNA Damage in iPSC-Derived Motor Neurons. Neuron. 2016 Oct 19;92(2):383-391. ePub 2016 Oct 6. [Pubmed].